BMW sees no quick way to boost profit from electric cars, with battery capacity and cost set to weigh on the technology for the foreseeable future. “We simply have to walk through the valley of tears” to figure out how to save more money on producing battery-powered cars, Stefan Juraschek, vice-president of electric-powertrain development, told reporters at a briefing at a BMW testing facility in Munich. With driving ranges limited by current technology, the company expects it to take about seven years to double the amount of energy stored in a battery, which weighs about 230kg in the squat BMW i3 hatchback. Improving battery performance is key, as “there’s a clear trend to bigger electric cars and longer driving ranges”, Juraschek said. Even with tepid reception from consumers, BMW and rivals are spending heavily to create electric cars to meet ever-tighter US and European emissions regulations. 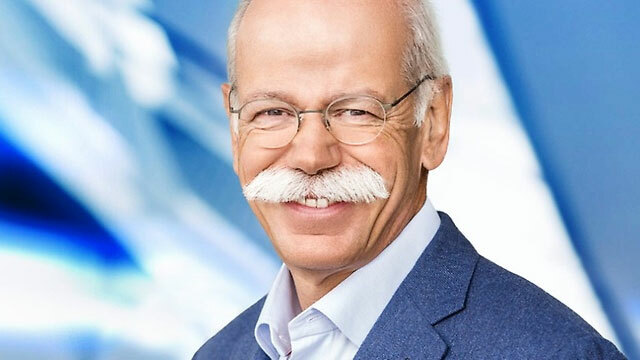 Daimler’s luxury Mercedes-Benz brand outlined plans in September for at least 10 battery-powered models under the EQ sub-brand, a project CEO Dieter Zetsche says will cost €10bn (R15bn) by 2025. Volkswagen has pledged a 30-model line-up of all-electric cars by then that would account for up to a quarter of its deliveries, similar to the proportion BMW is targeting for battery-powered vehicles. After being one of the first car makers to develop an electric car from the ground up with the $42 400 i3 in 2013, BMW has since reined in its ambitions. Now, the luxury-vehicle maker plans to roll out battery-powered versions of the Mini city car and the BMW X3 sport utility vehicle starting in 2019. While integrating an electric drivetrain into mainstream models will help cut costs, it could turn off green buyers who want to showcase their environmental credentials. The strategy is largely focused on keeping a lid on spending as BMW invests in technology for the self-driving, electric-powered iNext by 2021. The Munich-based manufacturer is choosing to adapt battery power to existing models as it doesn’t expect significant growth in demand any time soon. -Their management was & is not totally committed to EV production like Tesla. Thus they did not know to plan ahead like Tesla did (secure battery plants, install charging network, sales team committed to selling EVs, etc.). -The i3 is a good EV. The optional generator (genset) making the EV into a plug-in-hybrid was also a good idea (same production line, but sales expanded to cold regions with little charging, etc.). BMW could sell an EV, or if the customer wanted, they could pay more and have a plug-in-hybrid. But the i3’s design was optimized with short sided thinking (not of the future when batteries are more energy dense, less expensive, and a 200 mile EV become the norm, etc.). 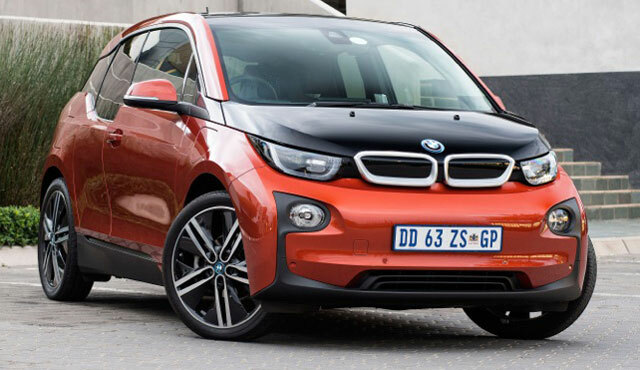 -The materials used for the i3 are expensive and way ahead of their sales. It would have been wiser for BMW to put into production their ‘Active e’ which was before GM’s approach of taking a ice model (Sonic) as the base for their EV. That ‘1 series’ based EV looked like a BMW (instead of the i3 trying to, but not succeeding to look like a BMW). Same as the Bolt, the Active e EV would have shared the same production line (materials and trained employees). But BMW foolishly jumped too far ahead of sales, like a bad business model, with the too costly and unattractive i3 design. BMW could have choose a less expensive ice model to electrify (i.e. the 2 series or the X1). No the problem is not EVs. It is with BMW’s thinking. They need to take ownership of their bad mistakes, and learn how to walk in EV-shoes (like a toddler – when compared to Tesla who has years of EV experience on BMW). BMW: don’t put out copy blaming others for your mistakes. Change your management’s EV attitude, take the baby steps toward EV production, and stick with handing out pr copy to media outlets that tell the truth. Lying only loses sales. Here are some more problems that I as an i3 owner experience. When I was sold on the EV I was fully aware that I would be taking a journey that will require me to change my thinking around travel when driving. Fair enough. But BMW sell you on their public charger roll-out plans that I have yet to see materialize. Then when you actually manage to track down a useful charger, good luck getting a charge card. After trying to get information out of BMW as to how to obtain such a card I was left frustrated and unsatisfied. To this day I still don’t have one. Their cars don’t play well with public chargers because they lock the charger in place meaning you can’t leave a friendly note letting other’s know what time they can commandeer the charger. Locally, we have no incentive to go EV, no rebates, no nothing. This is a more isolated problem but one that needs to be addressed in markets where you try and get an uptake in sales. It feels like this was another notch in the BMW line-up belt and that’s it. Dealerships could not care less about the EV’s. It’s just a fun toy to talk about. Early adopters end up being punished by BMW’s lack of company buy-in into their our products. Need more cars like the Chevy bolt. It can be done. BMW are just finding excuses not to. The headline is uninformed, and borderline Fake News. So BMW has problems selling their horribly-styled EV? How does the journalist dig into the many other EV manufacturers and discern their progress and success? Looks very much like recycled BMW PR, not any real journalism effort. At Gauteng BMW dealers , you swipe your normal Gautrain card, for free. You can also charge at Nissan dealers for free without a card. Cape Town apparently has an issue. Had the privilege of working via sub-contract with various automotive OEMs , including BMW – their attention is detail is ridiculous. Commentators are quick to point out the “commitment to EV” compared to TESLA, but fail to see the irony that TESLA has ho actual vehicle design and manufacturing experience or pedigree, worth discussing.